Social Media: Should you have guidelines for employees? With the holidays coming up, internet sales are going to increase dramatically. As people search for the perfect gift for their friends and family, this is the perfect time to take advantage of all of this consumer excitement. Promoting your business towards the end of the year can help you meet those sales goals that you may have missed in months past. Offering holiday specials are one way to drive more customers in, but social media can give you the boost to let more potential customers know about your product in a quicker fashion. You want your business's name to stick in consumer's minds, and one way to do that is to frequently update your Facebook and Twitter accounts. For instance, many companies might offer special deals to those who "like" their Facebook page, or for those who comment on a specific status. Being creative and flexible with your strategy will set you apart from the rest; staying in contact with your customer's will enable you to create relationships that will last long after the holiday season. Make sure to keep your client's informed about new products and special discounts, and you are bound to make an impression on them that will drive them back to your business. Check out these tips from Sam Cannon of the E-commerce Times. (Click here to see the full article). Brands that are already active on Twitter and Facebook will have the most success leveraging social campaigns over the holidays due to their built-in fan base and followers, but brand marketers should not overlook the opportunities that exist within location-based applications such as Foursquare, Gowalla and even Facebook's new "Deals" feature. Many retailers are already generating revenue by posting daily offers that can be redeemed locally. Adding location-based promotions is an effective way to drive in-store traffic and creates another touch point for consumer engagement. Finding that perfect gift for someone can be a challenge, and shoppers oftentimes will turn to gift cards as a last resort. As an alternative, consider a new twist on the "wish list" feature on most leading e-commerce sites. The first step is to make the experience of building the wish list more engaging for the user. For example, instead of calling it a wish list, get creative. If your target audience is made up of music fans, launch a poster or album cover creator -- something that will resonate with consumers and be seen as less of a chore to assemble. The most important element here, however, is making the wish list easy to share across Facebook, MySpace and other social networking sites. 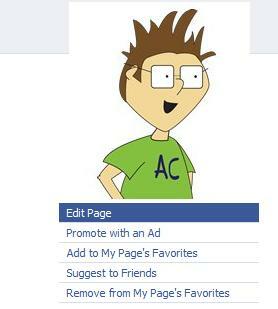 Enable individual items to be shared with Facebook friends for feedback or one-off "wishes." Some of the most effective retail marketing campaigns are those that create truly personal connections with consumers. Great examples are those digital experiences that enable shoppers to try things on virtually -- clothes, hairstyles, makeup -- making the consumer part of the brand. In order to maximize these experiences, take them a couple steps further. After a consumer interacts with the promotion, give them the tools they need to easily share their experience with friends in their social networks so they can join the fun too. Don't forget an enticing follow-up offer to seal the deal -- a promotional code, coupon or other offer that will turn these branded experiences into sales. Retailers have been extremely successful using social media to broadcast time-sensitive deals as a way to reward their loyal customer base. Post-holiday, these deal feeds are a great way to clear out the inevitable stack of returned merchandise. So, consider using your brand's Twitter feed (or creating a new one) as an auction mechanism for the post-holiday returns. It goes without saying that retailers should try to make the holiday shopping experience as stress-free as possible. So when using social media channels to communicate with your customers, be sure to clearly articulate the value. Be clear about what role each of your social community efforts is supposed to play -- both internally and with your fans and followers. If it's to answer gift questions, then do that only. If there is another effort to address availability of gifts, make sure your team understands that. Anticipate that if you create the impression or expectation that your social environment can help with holiday shopping, then customer expectations for you to deliver on that promise will likely be higher than at almost any other time of the year. Social Media Crisis: What will you do when it happens to you? QR Codes:What, Where, and Why! You may or may not have seen these bar code-like, one-dimensional designs, but they are rapidly growing in usage. Products, brochures, newspapers, magazines, and even store windows are making room for the QR code. This month we'd like to tackle the 411 about these codes and how they may be beneficial to you and your business! What is this is QR code business? Quick Response codes (QR codes) are similar to the typical bar code we are all used to seeing on most every product. Unlike this new addition to the bar code family, typical bar codes track price and inventory. The QR code, on the other hand, has the ability to hold much more information. With a quick scan a QR code can drive traffic to your website, Facebook page, and so much more. With the use of an iPhone, Android, or any camera-ready Smartphone the code will direct you to the digital content on the web. Even better there are FREE applications like Scanlife that can be downloaded to your phone to read QR codes. Another function, which Andrew and Jeff absolutely love, the code can hold contact information, which is directly placed into your phone book when scanned. Where do these codes go? With the versatility of QR codes, they can be placed almost anywhere!! If you'd like to drive traffic to your website a code can be placed on fliers, brochures, receipts, name tags, store windows, or even the side of a truck! United Airlines is one of the many major airlines that now use these QR codes as a digital boarding pass. With the ability to store contact information or your web address the back of your business card is a great place to start. The placement possibilities are endless; I've even seen them on t-shirts. Why use them? With a number of sites that generate these for FREE, there is no reason not to jump on the bandwagon (a trendy bandwagon at that). While generating the code via sites like qrcode.kaywa.com you simply enter the appropriate data, maybe spice it up with some color and BAM, easy access for your customers. Stand out from your competition and engage your prospective Facebook fans by adding a Welcome Tab to your Facebook Fan Page. 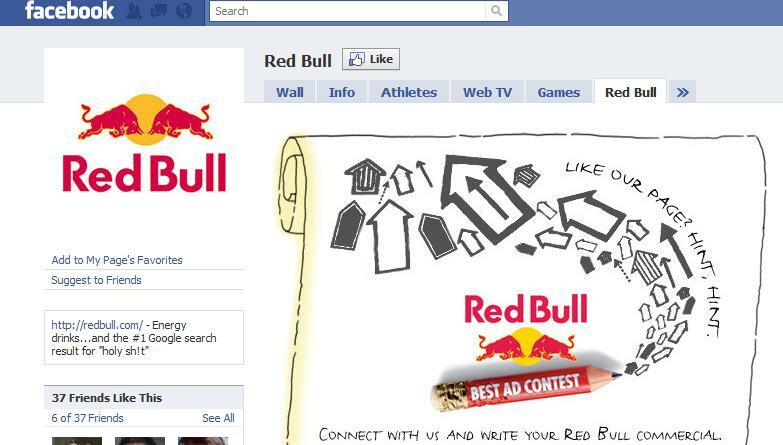 Welcome Tabs are great for call-to-action, like asking them to 'Like' your Page (see RedBull) and adding media to really wow your fans. 1. Search the FBML application. 2. Add it to your Page. 3. Go to “Edit Page” on your Page. 4. Under Applications, find the FBML box and Go to Application. 5. 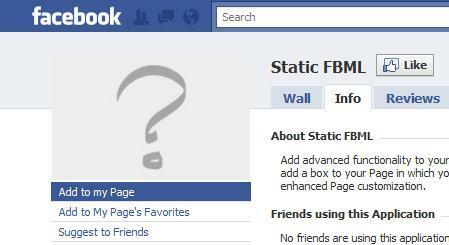 Edit and customize your FBML Page. 6. 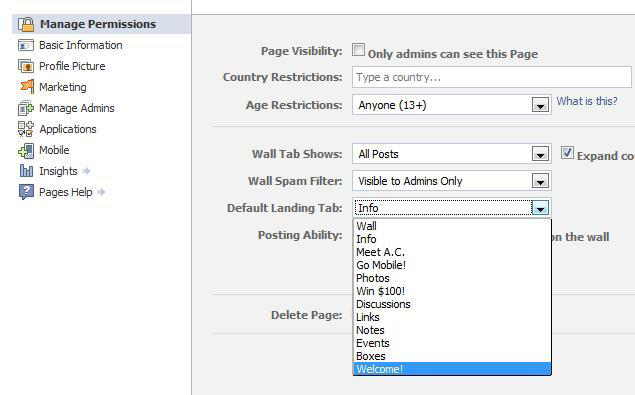 Go to your Page >“Edit Page" > Manage Permissions > select desired Default Landing Tab. 2. Select FBML tab to be Welcome Tab... check! --> 3. Get creative with these 7 rockin' FBML codes to pimp your Facebook Fan Page! You know that target market you're always looking for to join you online? You probably just sent them an email and they have no idea you are social. Did somebody say opportunity? Yes! Just thinking about how many e-mails you and your employees send out a day should be enough to get you giddy inside. For a simple explanation of how to and pictures, here is a link to help you upgrade your signature. Food for thought. Erica Lamberta, an amazing marketing professional at Virginia Commonwealth Univerisity, suggests in addition to adding the links to your signature also encouraging your pen pal to join you on your social network. Before your signature, list the benefits of joining your group and ask them to join. For example,"For more interesting articles about how social media can help your business and updates about ACO, join us on our Facebook page www.facebook.com./addisonclarkonline." 2.) Business Cards Move over watermark, social media icons are the new hottest thing to put on your business card. If you don't have it on your business card already and are not planning on getting more soon, that's okay. Place a sticker on the back of your card asking your new friends to join your social platforms. Did somebody say creative opportunity? How fun! Give your friends more to look at than a picture of social media icon. Write something funny or persuasive as to why they should join your social scene. Let your customers know you're online and want to be a part of their life! Little signs by the register and hanging in your window are perfect places for you to show off your social. 4.) On your Website! Displaying social media icons on your website is like adding milk to your cereal. It's all part of a well balanced social media campaign! This is the most popular way to get the word out and allow your fans to stay connected. You finally made a page for you business on Facebook and Twitter. Now what? Here are some tips to help you get started... 1. People like talking to people not computers, so relax and be yourself. Think of some of your best business relationships. What make them so great? Chances are you have something else in common with them besides business (e.g. your children go to the same school, they're a Cubs fan too). Getting to know your customers and allowing them to get to know you will strengthen your relationships with them. 2. Engage them! You can talk about your business and other things that people can relate to as well. The key is to engage your customers to talk to you. For example, John owns a bike shop and he posts, "Just put new tires on and they feel great!" His fans might read this and think about if they need new tires or ask John what kind of tires he recommends. For starters, try asking your customers a question or talking about hot topics in your industry to engage them. 3. Give them information. Social media gives you the opportunity to keep your customers updated about what's new with you and your advice. You are now a resource to them. Bring value to your company's social media sites by providing your customers with insights about your company and your industry. Breaking news they should know about? Let them know, they'll thank you for it! 4. It's not a sales pitch. Postings on Facebook and Twitter are like a stream of casual conversations. If you post a huge advertisement in the middle of these conversations, your post might be deemed as just another annoying advertisement. Let's be honest though, we do want to increase our sales and that's why we're doing social media... right? Well consider this, a recent study found that 78% of people will take a friend's recommendation while only 14% of people would trust an advertisement. 5. Start connecting and create awareness. Tell your friends and customers about your new Facebook and Twitter pages and ask them to join! Once they join, other people in their network will become aware of your business's page too. The more people the merrier, so spread the word!